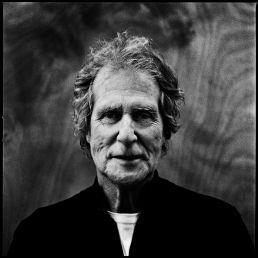 John Illsley is bass player and one of the founders of the legendary band Dire Straits. 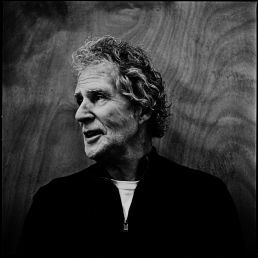 We met in Amsterdam and similar to almost all my photo sessions, I was given one minute to create a good portrait photograph. 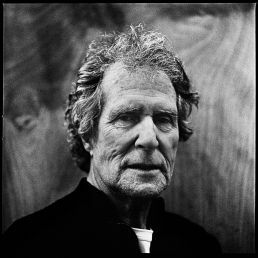 So there I stood with John Illsley in front of my camera, who is part of the music history. World wide fame and glory as original rock band and honoured with their videos as well in the late ’70s, ’80s and early ’90s. From April this year Dire Straits will be member of Rock ’n Roll Hall of Fame. In the meantime I had to focus, my minute was ticking away. And here you can see the results. Three selected photographs. After the shoot I thanked him for this opportunity and for the greatness of his music. He thanked me for the box of film rolls I gave him. He got so excited by seeing my camera, that he told me that when he gets home he definitively wants to find his camera. On my way back I realised I called him sir. I really think this should be capitalized: Sir.